Great to see you throughout this week! Here’s the research guide we looked at; your mini-library for finding context and historical background related to Iran in the 1970’s. Want to see Iran from the 1970’s? The library’s subscription to the AP Image database (12 million images) can help with that. I would recommend using the Advanced Search feature to limit the date range to the needed decade. Great to see you throughout this week and last! Here’s the direct link to your 1950’s Social History research guide. Do we have to cite images? – Yes, & the library purchases Noodletools to help with that if you like. Are items from the 1950’s primary sources? – Yes again! Can we access library collections from off-campus? – And, yes! Simply visit vpn.sps.edu to log in when off campus. Researching the Iranian Revolution of 1979? Researching the Iranian Revolution of 1979 in conjunction with Persepolis? Gale Virtual Reference Collection – For background information, including who, what and why. Biography in Context – For short biographies on key individuals. NBC Newsreel database – For news coverage from and about the Iranian Revolution. These library sources (and a few more) are all within the Humanities 3 Research Guide for this project. What new things will you find? It’s been great to see you this week! 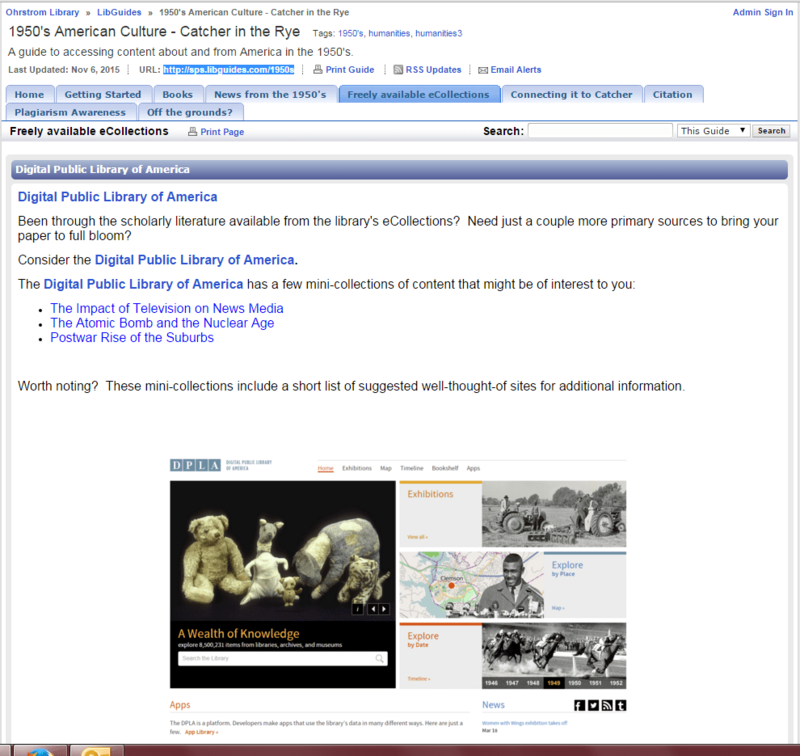 Here is your research guide, curating those library-purchased sources/eCollections most relevant to researching American Culture in the 1950’s.